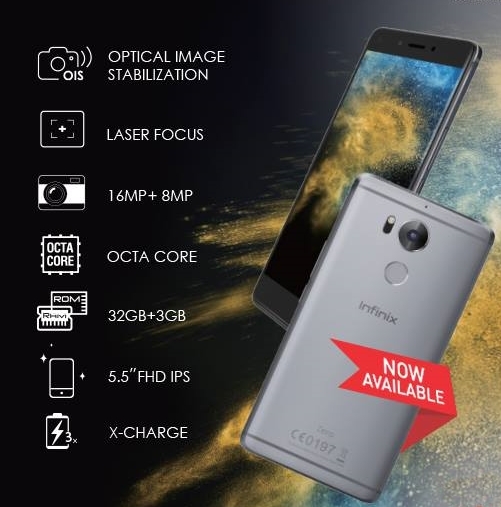 Infinix mobile has launched its new series zero 4 that is available in Pakistani market now. A smartphone that`s you loved to have in your pocket, fully equipped with all specifications. This series entered in the market for first time in Pakistan with improved design and new idea. Infinix Zero4 design is very clear, it has seamless metal body with addition of gorilla glass which feels very comfort in hand due to its elegent deign and finishing which curved 2.5D TP 3rd gen corring gorilla glass. In recent post i have already discussed about infinix mobile phone available in Pakistan which are infinix hot4 and infinx note x551. Now today we bring details of Zero4 which new product in market. It comes with 5.5 inch IPS screen along with HD resolution display. Zero 4 pixel density of 440 pixels. It has gorilla glass 4, which helps your screen from getting damage. It has full metallic body. Infinix zero 4 is running on powerful Core processor of 1.3 GHz octa-core and a 3 GB of RAM that pleasures your fast gaming experience and multi-tasking. 32 GB of internal memory which is expandable up-to 128 GB via microSD card. Android OS version 6.0 marshmallow is installed. Dual SIM phone support both SIM cards that make it possible to use the packages on both network at same time. Zero4 equipped with intelligent battery which provides fast charging for 3200 mAh powerful battery it is good for travelling and photography. 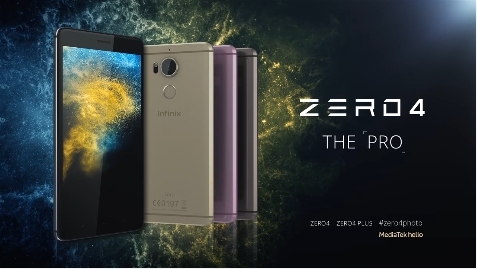 Zero 4 Infinix mobile comes with finger print reader that gives its users an extra security, which allow you scan your finger to unlock your phone. Zero 4 has 16 MP of rear camera that works in daylight at zero dark to make your images more perfect and beautiful and 8 MP of Front camera for selfie lovers to make your precious moments captured, and a best quality video call with your friends and family.